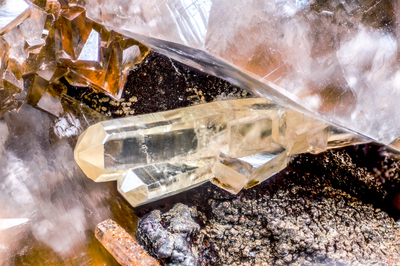 In the midst of rhombohedral crystals of smithsonite, white to reddish, two crystals of hexagonal prismatic mimetite, yellow. On them, as second generation, some rhombs, yellow, of smithsonite grew up. Collection and photo of Gianfranco Ciccolini.